Have you ever stopped to consider how a website project feels from the client’s perspective? As I write this, I’m currently in the process of revising my own site to reflect the growth in my business. Interesting how this kind of process can make even established business owners feel. My website is more than an online storefront for my business. It’s a representation of my values, my goals, and the passion I bring to my work. The redesign means full commitment to my business model and the shifts I’ve been working on over the past several months. It means setting aside indecision and being seen in a new way. For a new business owner, the website project has even greater significance. It means moving a business idea from the dream stage… and the planning stage… to the real-time, fully committed, “going to give this crazy thing a try” stage. Imagine the resistance… and the inner battle to put something out into the world where it can actually encounter real people. I remember lots of negative self-talk and anxiety about how potential clients would react to my big reveal. Would I succeed? Would I fail? GAH! Website projects are very emotive… your client is experiencing all the feels while working with you. Objections are often calls for support and encouragement. 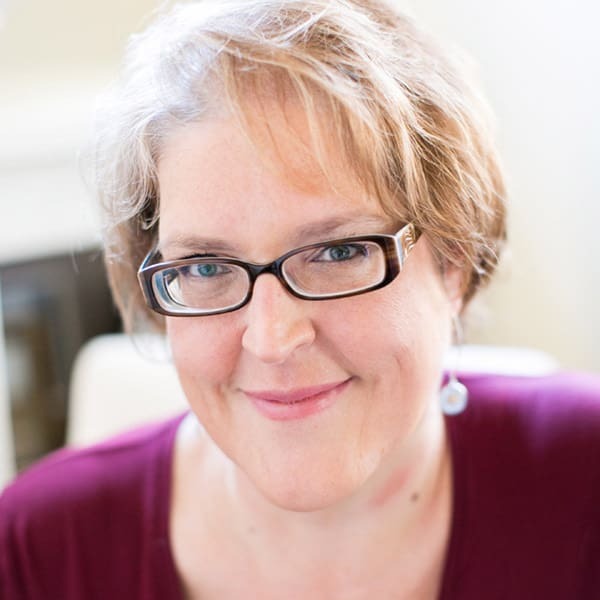 In my experience working with clients, I’ve noticed clients struggle with three basic types of emotional crisis points while working with me. 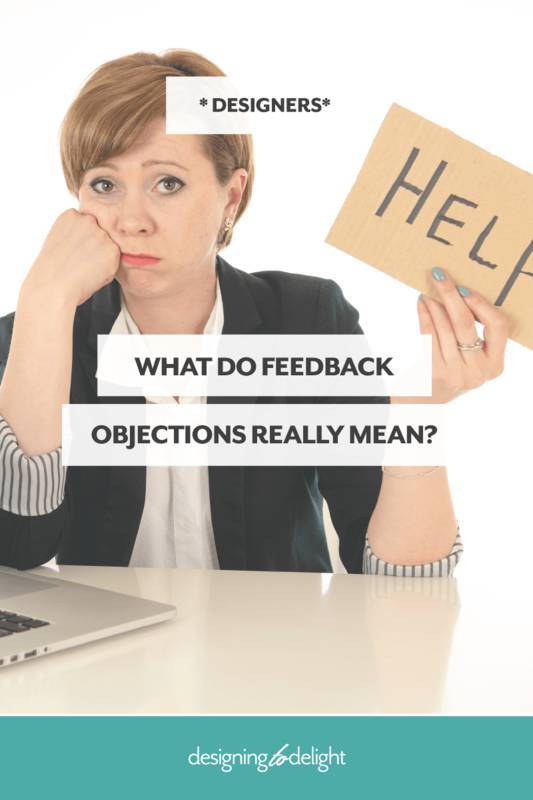 The type of objections I hear help me pinpoint what my clients feel so I can support and encourage them as we move through the process together. Something happens right about the time we share our work and ask our clients for feedback. Suddenly, the project shifts for our clients from a project on the task list to a real website. This is often an emotional crisis point marked by fear and anxiety. The reality of being seen in the context of the site design hits home, and along with this comes fear of truly being seen, of making a mistake, of failing. Fear of being judged by the marketplace and found unworthy in some way. Holy anxiety, batman! The web design process forces clients to decide what they will offer clients, put pricing together, and start defining themselves as experts. Somehow, this all seems like a mental exercise until the point when the design comes together… then the mental comparison emotions bubble up. Your client wonders how she can possibly match the charisma of Marie Forleo or the energy of a mentor she admires. He wonders if his credentials are equivalent to those of other professionals and entrepreneurs in his space. This comparison nearly always leads to imposter syndrome – the feeling that our own skills are lacking and we’re silly to think we can do this… whatever this is. This one sometimes seems less emotional and more analytical… but trust me. Your client feels this confusion at a gut level. The anxiety experienced when there’s a lack of clarity can be off the charts. When the site starts coming together, clients often start second guessing, over thinking, and totally revisiting every “decision” made up to this point. What do these emotional objections sound like? I’m not sure about this. Can I see more options? Do you think this is enough? Too much? Why did you include this or leave this out? What if it doesn’t work? Are you sure this conveys my professionalism (or passion, or vision, etc.)? Should we include more…. (packages, pages, information, etc.)? Silence… and the procrastination that goes along with freezing. When you experience objections like these, offer reassurance and support. Ask open ended questions, acknowledge emotions, and then gently nudge your client forward. When a client raises one of these (or similar) objections, I recommend you take a mental step back and evaluate. Take the emotional “temperature” of the client. Does she seem anxious or afraid? Does he appear to lack clarity? Is the process stalled by indecision, confusion, or an apparent lack of confidence? Respond with a few open ended questions such as “Interesting… why do you feel that way?” or “What do you feel is lacking here?” Before you present options or pivot, seek to understand the root cause of the objection. Once you’ve evaluated the objection, acknowledge it. I always thank my clients for providing feedback, even if it’s negative. I remind my clients that we are engaged in a collaborative process and their feedback is essential as we work together. Step into this moment and reassure your client. You’re the expert. You’ve guided many clients through this process, and you can see through to the end. Remind your client of the goals she set at the beginning, and what each of those goals mean to her business. Share a story or two about other clients who have felt the same way, so he knows he’s not alone. Then, calmly redirect the conversation to the work. In this moment, talk in a general way about options. Ask what it would feel like if a particular color were just a little different or a certain design element were added or removed. Keep the focus on feelings… with a goal of resolving the fear, anxiety, or insecurity your client feels. As you work through this process, two things will happen. Your client will relax and think more analytically about the website itself. But more importantly, you will build your client’s trust as you hold space for the emotions involved in this work. By exploring emotions with your client, you engage in a warm, collaborative revision process… building trust and arriving at a much richer project outcome for your client. Wondering how all this fits into a Drama-Free Design Process? By acknowledging how your client feels and responding with reassurance and redirection, you actually keep drama to a minimum and keep projects moving forward smoothly. You eliminate any adversarial feelings, and instead partner with your clients in a way that supports and encourages them.